DUBAI, UAE: PRNewswire: LuxurySection.com , an online marketplace where luxury dealers can market and sell luxury goods, continues to thrive as the luxury business in the Middle East grows. With more luxury dealers and private sellers relying on their services to list, advertise, and sell their products and services, LuxurySection.com has quickly become an industry leader in the Middle Eastern luxury marketplace. LuxurySection.com partners with a wide variety of luxury dealers in the UAE and elsewhere in order to provide a truly top-notch experience. From sports cars to yachts, luxury watches, jewelry, and even private jets and helicopters, LuxurySection.com has everything that the modern affluent consumer could wish for. But LuxurySection.com is also open to individuals. Using their signup page, individual sellers can upload luxury products, and begin the selling process on their own. Uploading listings is quick and easy, allowing individual sellers and deals to quickly list, sell, and transfer luxury goods. All listings posted on Luxury Section are closely scrutinized to ensure that they meet the requirements of the website, that the sellers are legitimate, and that dealers and sellers truly have ownership of the items which are being listed for sale. This ensures that Luxury Section is free of any falsified items, and that each listing on the marketplace is completely legitimate and ready to purchase. 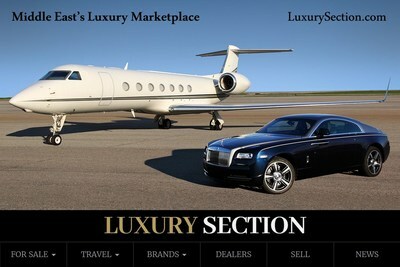 A modern, responsive website design implemented on Luxurysection.com makes it easy for customers and dealers to browse listings and find luxury items. In addition, LuxurySection.com recently introduced a fully-featured mobile application for Android devices, allowing customers and dealers to quickly upload listings from mobile devices, browse luxury goods, and enjoy the curated content of the Luxury Section news feed – all from their smartphones and tablets. In the past, affluent customers and buyers often had to deal with individual listings, private brokers, wholesalers, and luxury dealers in order to obtain rare luxury goods. However, the modern technology and design of Luxury Section have revolutionized how luxury items are sold. With a simple purchasing process that can connect buyers and sellers instantly, it’s easy to negotiate pricing, title transfers, and other details that often make luxury goods so difficult to purchase. By removing middlemen and brokers, Luxury Section allows luxury goods to be sold and transferred with ease. And by doing so, LuxurySection.com has quickly become the go-to marketplace for luxury buyers and sellers – not just in the UAE, but across the Middle East. Luxurysection.com is the leading marketplace for online goods in the Middle East. Luxury Section was established in order to streamline the transfer of luxury goods between individuals, brokers, and private sellers, and has quickly become the most highly-rated luxury marketplace both in the UAE and across the MENA region.